The simple answer is that it is an online seminar. You access it through a programme called GoToWebinar. All you need to do is register via a registration form that will be linked to on Opentoexport.com/webinars. Then, one hour before the webinar starts you’ll be sent an email with a link for joining the webinar as an attendee. If you’ve not used the programme before, it will automatically download and install in a matter of seconds. Once it is installed it will take you through to the webinar you had signed up for. You will be muted for the duration of the webinar, but you will be able to hear the presenters once the webinar broadcast starts. What happens in a webinar? 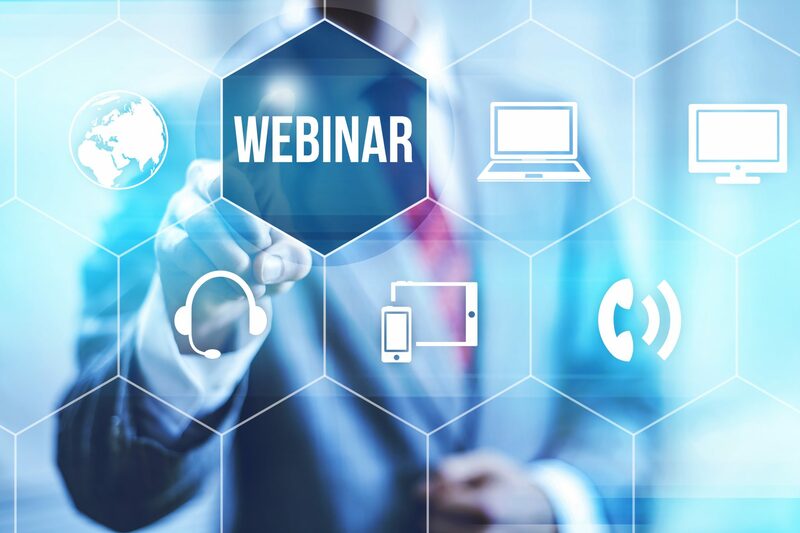 The format we run for our Open to Export webinar programme is to have one or two expert speakers give presentations which you can see (usually in the form of a PowerPoint slide presentation) and hear through the webinar platform. Following these presentations, you will be able to ask questions using the control platform on the right-hand side of the webinar control panel. You’ll need to click the ‘Questions’ dropdown, and then you’ll be able to type in your question. The question will then be reviewed by the webinar organiser who will decide whether to ask it to the panel. If you can’t hear anything, make sure your computer isn’t on mute, and then contact the webinar organiser through the questions dropdown described above. What is the webinar app you use? We use an app called ‘GoToWebinar’ which can be downloaded on Mac, PC and on smartphone devices. If you ever encounter any difficulties accessing gotowebinar on one of your devices, it’s always worthwhile trying to access it on a different device. For instance, many large companies have firewalls that block programmes like GoToWebinar. If you encounter this, contact your IT department for support, and try to access the webinar using a personal device. How do I get onto GoToWebinar? All you’ll need to do is follow the links sent to you by the webinar organiser and follow the instructions. Do I need a GoToWebinar login?